is honored on Panel 24W, Line 75 of the Vietnam Veterans Memorial. Posted on 5/22/13 - by A Vietnam Vet. 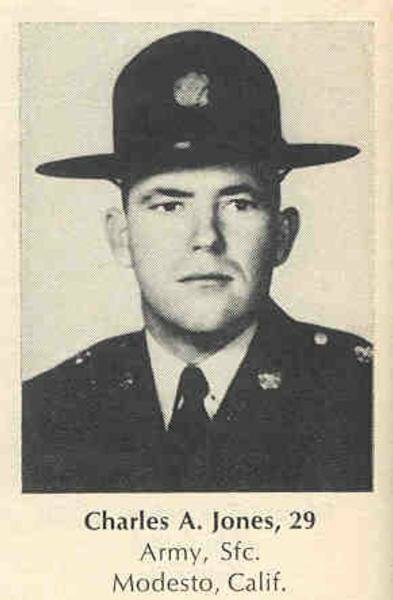 Sergeant First Class Charles Alexander Jones, United States Army, was awarded the Silver Star (Posthumously) for gallantry in action on May 19, 1969 while serving with the U.S. IV Corps in Southeast Asia.